This is a wedding card I created after playing with my Silhouette Cameo. All cut files are from Silhouette of America's online store. The stamps are from Gina K. Designs. I cut the gate fuld card first, but decided I couldn't come up with something to do other than an invitation, and I didn't want that. So, I cut off the folds from the card and glued them to a piece of white card stock. I then cut a circle from Spellbinder's and cut that exactly in half and glued them to the edges. I cut the flowers in 4 different sizes, so each one has 2 flowers. I stamped the sentiment, which is from two different Gina K. Design sets. And then I added all the bling...and there is a lot of it on this card. I hope you can see it all. Susan this is simply beautiful. Love the black and white and the half round design is just stunning. What a beautiful card Susan - stunning. Thanks for being our first entry inthe latest challenge at Crafting with Dragonflies - weddings! 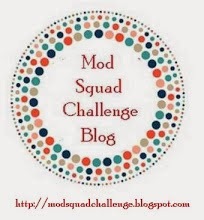 And of course our first bloghop! Beautiful design,Susan. When I enlarged the image I could see all the bling. I think black and white always gives elegance to a card. Susan - shame you had been sick and missed our last challenge but you sure got in early for this one. An absolute STUNNER in ever way. Love the design colours flowers and all that fabulous bling. JUST LOVE IT. So glad you have entered it in our Crafting with Dragonflies Wedding Blog Hop HUGS Ina. Love the wedding card, very beautiful, the flowers are awesome! Hi Susan, I love the idea to use just part of the gate fold, I too have been wondering how to embellish those doily gate folds in the Silhouette store so I haven't bought any. Very creative idea. And a beautiful sentiment stamp, perfect wedding card. Thank-you for sharing with us at Crafting With Dragonflies! Nice card! I love the designs and textures you used for this wedding wishes. They are pretty amazing and made a special element for the card. Nice one! I am the wife of the most incredible husband in the entire world and "mother" to 2 beautiful little furry creatures. I was introduced to rubber stamping in May 2000 by my very best friend Cathy. I have been severely addicted ever since. Although no intervention is needed. I am lucky enough to have a room in my home dedicated to my crafting. My husband likes to tease me that our house leans on that side. He has really made my life so much easier by building me the things I need when I can't seem to find them. He has been incredibly supportive of my "little hobby". 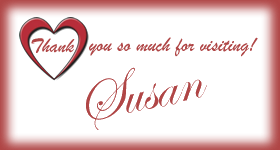 Thank you so much for visiting my blog and allowing me to share what I love creating with you.. Please feel free to leave me a comment. Join me on Blitsy - it's Free! Li'l Tin's Brain Needs Oilin'! ©2018 Susan Sieracki. Awesome Inc. theme. Powered by Blogger.